What Should I Put in My RV Black Tank? 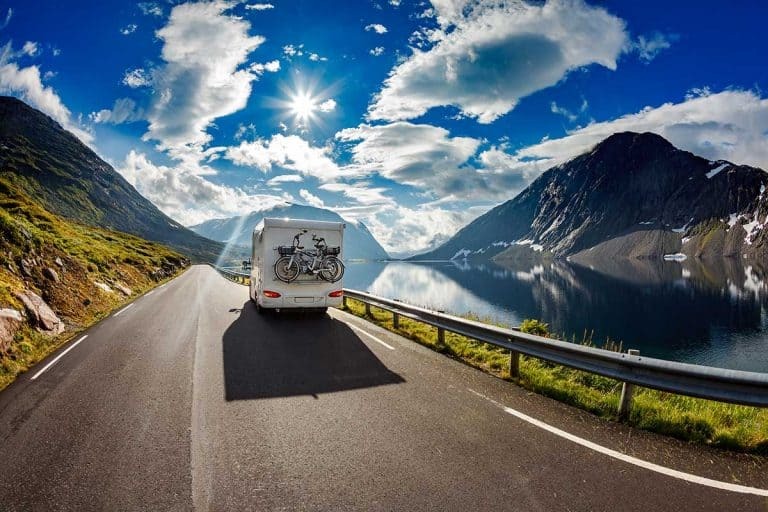 Every RV has a black tank, but have you ever wondered what you should put in there? You don’t want to just guess. After all, no one wants tank leaks or other damage, as this can be expensive to repair. 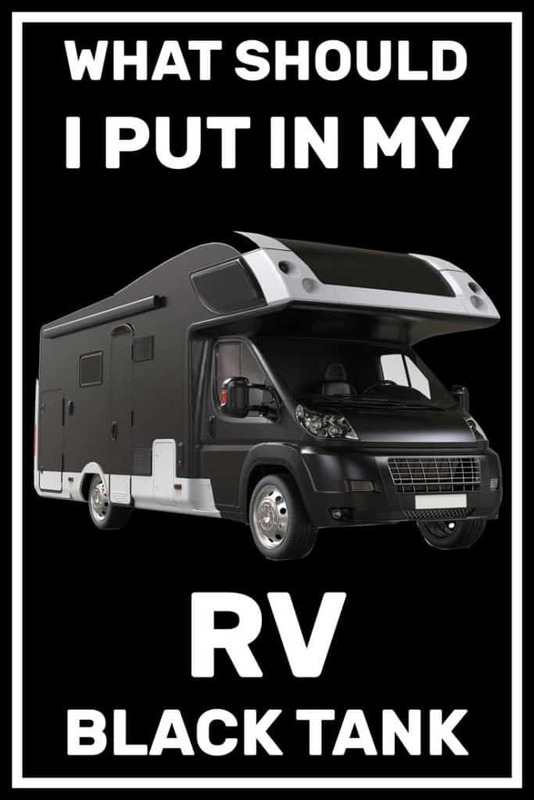 Your RV black tank holds bathroom waste, so you should only put water, RV-safe toilet paper, and bleach (for cleaning) in there. Otherwise, you could have clogs. 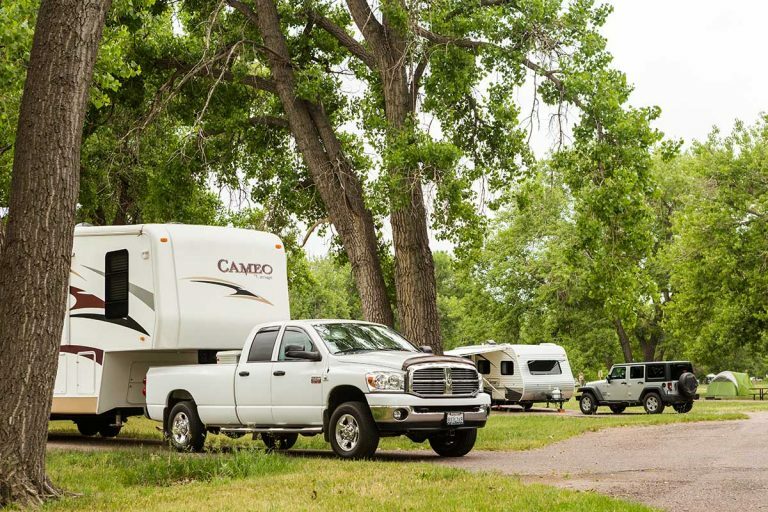 If you’re a first-time RV owner, you may have more questions about your black tank. How do you clean it? What kind of toilet paper won’t clog? We’ve done extensive research to provide you the answers, so keep reading. What Is an RV Black Tank? First, let’s be clear on what an RV black tank is. Every RV have three tanks. These are the freshwater tank, the black tank, and the graywater tank. 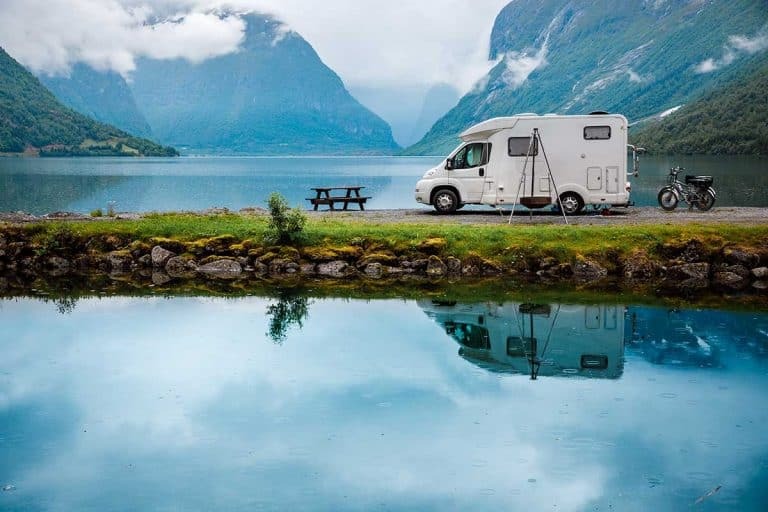 As the name tells you, a freshwater tank is for holding all the potable water in your RV. This tank is often connected via pipes to your water pump or water heater. When you cook, drink, shower, or do dishes, the water comes from the freshwater tank. Each time you flush your toilet, the mess goes to your black tank. That’s all that goes in this tank: bathroom waste. This waste includes toilet paper. 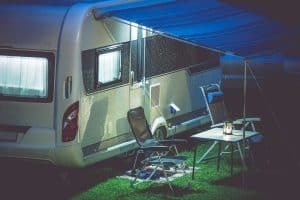 Read more: How Do RV Toilets Work? Then there’s the graywater tank. The purpose is to hold all the waste from the shower and sinks. This can include food scraps and other debris, but it’s mostly just used water. Some graywater tanks may have sewage connections to the hot water heater so they can filter in water waste from that, too. What Should You Put in This Tank? 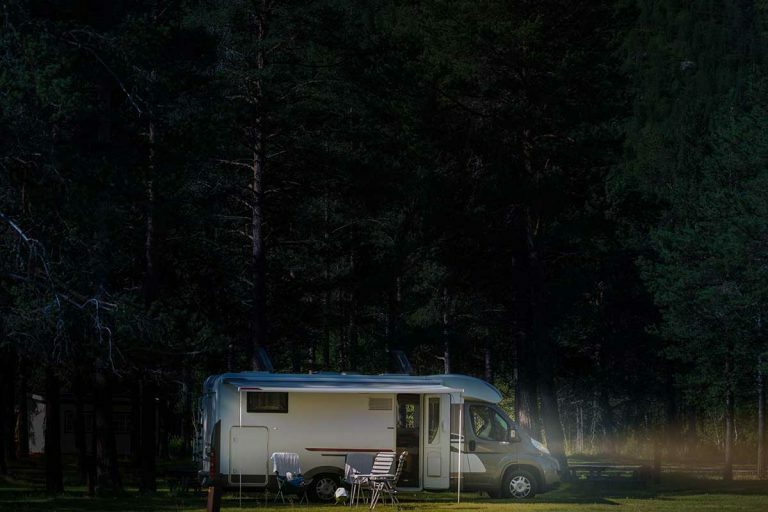 The newest RVs may include high-tech black tanks with vertical sensors. These sensors line the sides of the tank and tell you when it’s approaching fullness. This way, you’re not dumping the tank prematurely. This is a good thing. While you have to dump your black tank (and we’ll get into this more later), it’s an ugly job, to say the least. Whether your black tank has sensors or not, it can get backed up and clogged. This happens most often by putting the wrong things in there. 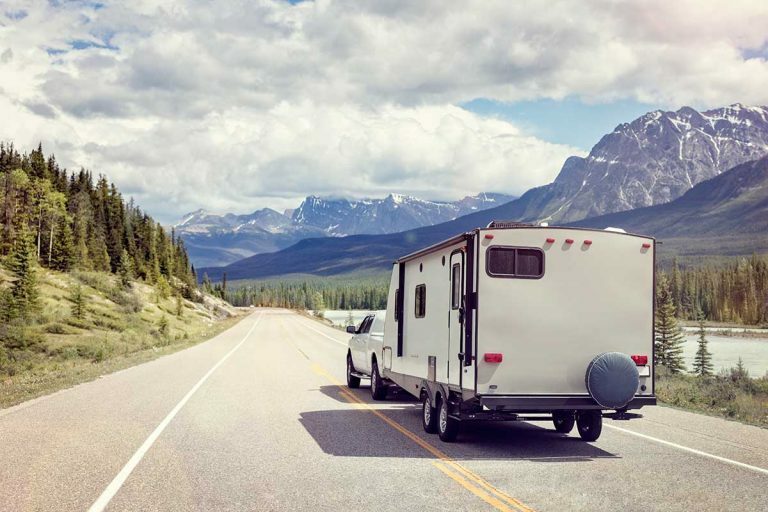 Here’s what should go in your RV black tank instead. You’ve got to clean your black tank sometime. We’ll delve into how you do this in the next section. For now, we’ll say it involves water. Since some RV toilets will have water in them, you can naturally assume that water comprises part of what goes in your black tank. For those serious cleaning days when you’re trying to remove stubborn odors or prep for winterization, bleach is your best friend. You will never just dump pure bleach into your black tank and hope for the best. It’s often diluted with water. 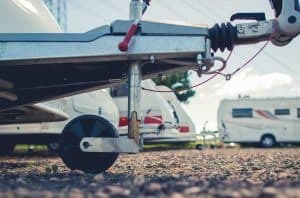 (By the way, if you’re wondering about your freshwater tank too, we have a great post about how to clean the RV water system without bleach). Finally, you want to make sure the toilet paper you’re using is RV-friendly. This type of toilet paper is biodegradable. That means it will break down naturally and quickly within the tank. Regular toilet paper will not degrade as fast in an RV toilet. As chunks linger, they’re more likely to attach themselves to the side walls of your black tank. If these clumps obstruct a sensor, malfunctions can occur. Since the sensor is blocked, it’ll indicate your black tank is full even when it isn’t. This wastes your time because you can never be sure how empty your tank is. You’ll also dump it far more often than you’d like. Even if you don’t have black tank sensors, toilet paper clumps are still a risk. They can move into your blackwater waste line and get stuck. They can also constitute pyramid plugs (along with feces). These hardened plugs back up the tank and could lead to an overflow of bathroom waste. Make sure you’re using Camco, Scott Rapid-Dissolving Toilet Paper, or Thetford Aqua-Soft toilet paper for the sake of your black tank. If your tank is backed up, you’ll have to clean it. You can remove any gunked-up toilet paper chunks and other messes that have lodged onto the sides or top of your black tank by flushing it. Step #1: Prepare to drain the tank. Make sure you’re at a dumping station or a specially-allocated campground area before you do this. You cannot just dump black and graywater tanks anywhere. Step #2: To begin dumping, you want to hook up your vehicle to the sewer hose connection. This should lead to a sewer outlet. You’ll also need to make sure the graywater tank valve is closed before you dump. Step #3: Now go to your sewer tank valve and open it up. The black tank waste should begin coming out. Step #4: Once all the waste has dumped from the tank, go back to your sewer valve. Securely close it. Using fresh water, fill the tank and then empty it. This time, have a clear hose adaptor hooked up so you can be sure there’s no toilet paper remnants leftover. Repeat this process several times if need be. Step #5: For a more efficient clean, combine bleach with water. You want liquid bleach for this job, at least 1/4 cup per 15 gallons of water. Step #6: Step away so you don’t smell the mixture. Let it do its thing for 10 minutes. Step #7: Yet again, empty the black tank. Step #8: Next, pour nothing but freshwater in the tank until it’s three-fourths full. Empty it again. Step #9: Repeat the process as many times as it takes so you don’t see debris through your clear hose connector. If you don’t smell bleach anymore, you’re done with the deep cleaning. How Often Should You Dump Your Black Tank? 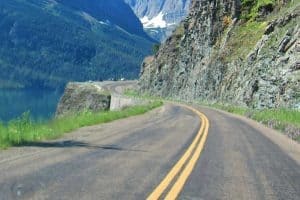 If you have an RV black tank with sensors, then you don’t have to worry about figuring out when to drain the tank. You’ll know when since the tank sensors will read as full. As for those tanks that have no sensors, when you dump will depend. How many people do you have onboard? If it’s just two or four passengers, then you might be able to go a whole day or two between tank dumpings. If you have five or eight people, then you’ll dump the black tank a lot more often. Once your black tank is at the two-thirds mark, it’s time to empty it. Draining it if it’s emptier than that can disrupt the dumping flow. Emptying your tank if it’s fuller than two-thirds isn’t good either, since the tank is overloaded at this point. As we mentioned in the last section, you must always drain your black tank at a dumping station, nowhere else. Some states and counties will fine you for dumping anywhere that’s not a designated spot. Finally, let’s discuss winterization. 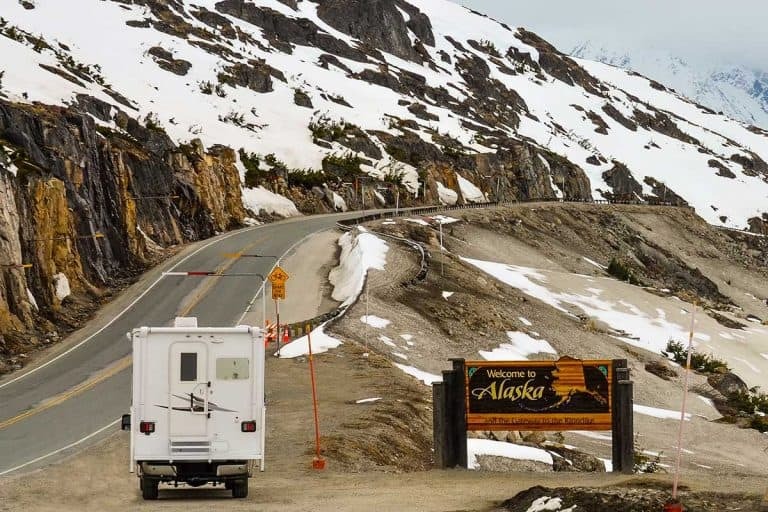 Unless you live in a southern state, then at some point, you’ll have to retire your RV for the winter. Doing so includes preparing all the tanks. To start the winterization, you want to follow the cleaning steps we presented two sections back. You also want to flush out your tank. Before you leave your black tank for the cold season, make sure it’s completely empty. Any water left over can freeze. If there’s enough water in there, your tank could crack. Frozen water can also render your blackwater line completely useless. Don’t forget to add some antifreeze, at least a quart. Not just any antifreeze will do; it has to be formulated for RVs. Camco’s antifreeze, available on Amazon, is a smart pick. By pouring antifreeze in your black tank, you keep your seals and drain valves safe from the elements. Your RV black tank holds bathroom waste. You shouldn’t put anything in there but water, liquid bleach (on occasion), and RV-safe toilet paper. This way, you prevent pyramid plugs and globs of toilet paper from causing blockages in your tank. We hope you found this post useful, and if you have any tips for Black Tank maintenance, do please share them by leaving a comment below – thank you!